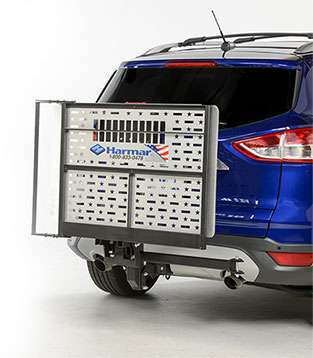 The AL100 Universal Scooter Lift is today’s most popular outside scooter lift and is now available to accommodate 400 lbs. capacity. 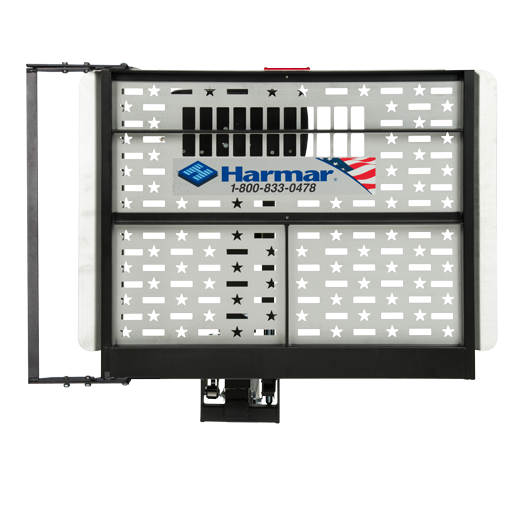 Features Harmar’s Stars -N- Stripes aluminum deck design, dedicated to our veterans and commemorating Harmar’s heritage as an American company. This fully automatic lift offers simple, nearly effortless operation. The unique hold down foot automatically secures virtually any scooter without any necessary scooter modifications.